Digital radio stations BBC 6 Music and Asian Network are facing closure as part of a shake-up of the corporation, the director general has announced. Mark Thompson also said that half of its websites would close by 2013, along with teen services Switch and Blast. He expected an extra £600m ($893m) to be diverted into programme-making as a result of the changes, but union Bectu feared up to 600 jobs could go. The strategy review will now go out to public consultation. 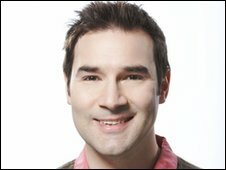 6 Music presenter Adam Buxton said he did not understand why a station with such devoted listeners had to close. Mr Thompson pledged that in future, 90p of every licence fee £1 will be spent on programming and the corporation would spend 25% less on BBC online. The review, which has been submitted to the BBC Trust, said more money will be ploughed into international news and the BBC must put a higher proportion of the licence fee into quality programmes to make "fewer things better". Radio 2 needed to "sharpen its distinctiveness in its range of music and speech" and while the quality of local radio should be increased, he proposed sharing more programmes across outlets during off-peak periods. 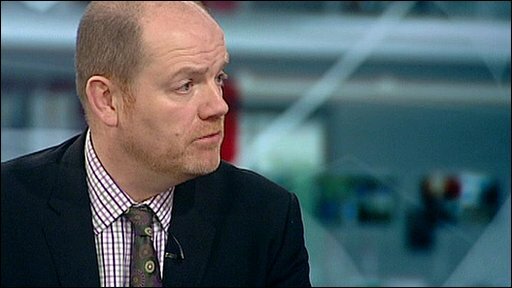 Mr Thompson admitted that teenagers would have to rely on Channel 4 and other broadcasters for programmes specifically aimed at them. Mr Thompson said the earliest 6 Music and Asian Network would close would be the end of 2011. The proposed cuts have been criticised by music industry figures, with the heads of the British Phonographic Institute and the Association of Independent Music saying they were "surprised and alarmed" by the reports. And Mr Buxton, who hosts 6 Music's Adam and Joe show, told Channel 4 News the station had an "incredibly devoted and witty audience" and he did not understand the need to axe it when it was working so well. Asian Network presenter Bobby Friction told the same programme: "Why cancel the one British Asian national space? It's a British thing for everyone to listen to." A Facebook group titled Save BBC 6 Music has attracted over 89,000 members so far. Music producer and musician Mark Ronson told BBC Radio 5 live he was "definitely joining the petition" to keep 6 Music on air. He added: "It would be a bad thing if it closed down. It's great old music, it's great new bands. People on that station love music." Meanwhile, broadcasting workers' union Bectu, said up to 600 jobs could go. For the first time, the BBC is explicitly reducing its commitment to some audiences and urging them to switch to its commercial competitors. It says Channel 4 should take the lead in providing public-service TV programming for young teenagers, and is closing BBC Switch and Blast. This means that its children's audience - one of the BBC's new priorities - will have to be wooed back later, perhaps through BBC Three, which it says "has learned to be bold and challenging, with programmes that engage young audiences". The BBC is also encouraging 30-to-50-year-olds to listen to popular music on commercial radio, instead of the three BBC national stations which they currently enjoy. 6 Music is to be closed and Radio 1 and Radio 2 "refocused" to appeal to other age groups. The BBC says 6 Music "competes head-on for a commercially valuable audience" and would damage the commercial stations if it tried to attract more listeners. 6 Music fans say commercial radio won't support new music in the same way. General secretary of the organisation, Gerry Morrissey, said: "It is obvious that the BBC is being bounced by its competitors and by the political climate ahead of the upcoming general election. "It is not acceptable for the BBC to be offering up services and jobs as some kind of sacrifice ahead of the general election." Jeremy Dear, general secretary of the National Union of Journalists, added: "These plans smack of an attempt to appease commercial and political interests. Hard-working staff shouldn't be used as a political football and we will fight any compulsory redundancies." Union leaders will meet Mr Thompson on Wednesday but have already warned industrial action might take place to fight the cuts. Mr Thompson has denied that the proposals have anything to do with the forthcoming election. "The proposed changes we are announcing today are not a piece of politics. It is also not a blueprint of a small BBC or a BBC that is in retreat from digital," he said. BBC Worldwide is expected to go through a period of change, with the possible loss of magazines such as Top Gear, Radio Times and Gardeners' World. It will also move to a more international focus, deriving at least two-thirds of its revenue from outside the UK by 2015. What lies behind the strategy review?